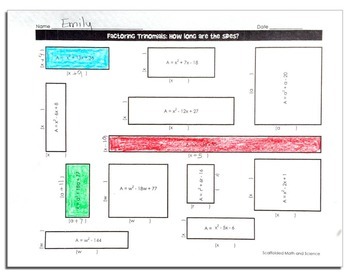 Students practice factoring quadratic trinomials by finding the missing side lengths of rectangles that have a trinomial "area". 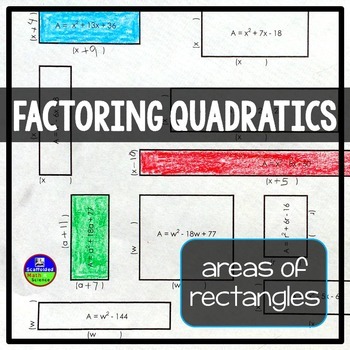 Through factoring, students will determine the side lengths of various-sized rectangles. All trinomials a values are 1. This activity is a nice link back to geometry and works well to show students why we factor and what missing information we find when factoring.